Need to make an ornament special for that special someone? We will personalize your ornament at no additional charge to you while you wait. We strive to include as many occupations and individualize for everyone. Farm, western, hunting, fishing, golfing, skiing, kitchen, wildlife, sports and hobbies are celebrated in our vast collections. We honor military with patriotic ornaments and gifts that thank those heroes that have given so freely of themselves. 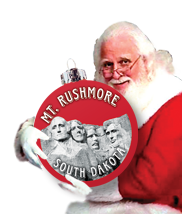 Need to remember that special part of your vacation to the Black Hills and Mount Rushmore? 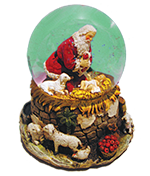 We are happy to carry the largest selection of ornaments and souvenirs to re-capture the joy of your trip. Celebrate all of the wonderful wineries of the Black Hills area. Decorative wine shoe bottle holders, wine stoppers and ornaments are ready to adorn your home and tree.